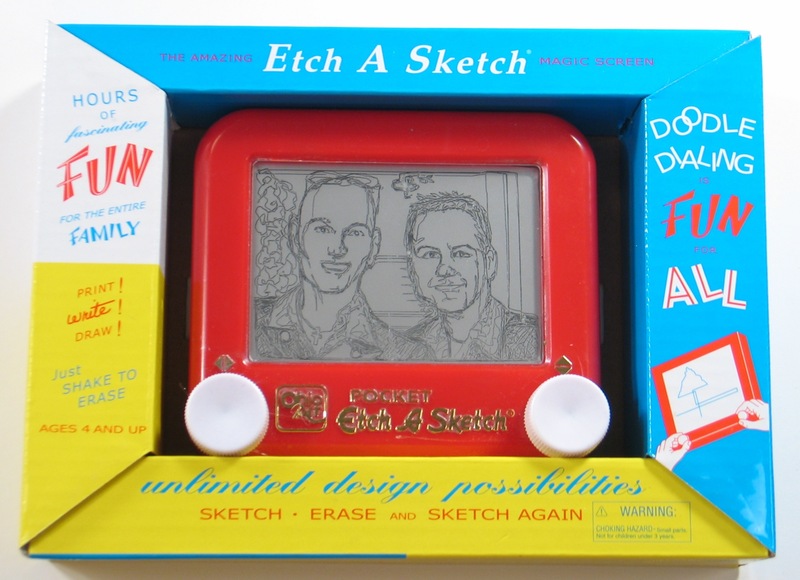 As seen on Television, Newspapers and special events around the world; The renowned lightening-fast Etch A Sketch® Artist creates astounding Etch A Sketch® portraits of your guests in just 5 minutes. Guests take home a mini Etch A Sketch® toy with thier portrait preserved using a special process. Click button to see sample. This is the latest in make-your-own videos and DVD’s. Star in your own MTV style music video with state of the art graphics using Chroma-Key technology. DANCE HEADS™ superimposes participants' heads on professional dancers' bodies while they sing along to some of the greatest pop hits of all time. The effect is outrageous and is completed with fully animated backgrounds. SUPER HEADS allows your guests to star in their very own super hero episode saving the world from the forces of evil! DANCE HEADS™ and SUPER HEADS keeps guests of all ages entertained and coming back for more! It is not just lip-synching, or just karaoke, but rather professionally produced music videos (DANCE HEADS™) and comic book style animation (SUPER HEADS) with your guests as the stars and heroes! DANCE HEADS™ is the original and only properly licensed product of its kind. Your guests will choose from over 50 different high quality jewelry and accessory items. 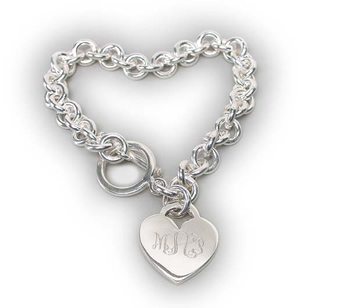 Our master engravers will hand-inscribe each piece on the spot and deliver the item to your guest in a velvet drawstring pouch with a custom hang tag. Item choices include bracelets, necklaces, money clips, flashlights, dog tags, guitar picks, key rings, and much more. We can even theme some of the choices to reflect the theme of your party! beautiful wire names created at your event. 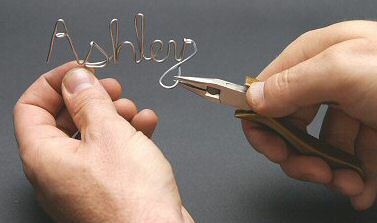 •Names are created from beautiful 14 gauge aluminum wire. •Each name stands up on its own, creating a 3D script name that appeals to everyone. •Guests hold onto their wire names forever! •40 to 50 names are created per hour. We bring the game show to you. Up to eight contestants compete for prizes in this realistic game show set up complete with electronic scoring, lockout buzzers and video challenge questions. Lip-gloss specially formulated on site for your guests. Choice of 15 flavors and colors delivered in beautiful drawstring bags with custom hang tag. Bring all the action of Las Vegas to you party. Professional quality casino tables with expert staff. Blackjack, Roulette, Craps, Wheel of Fortune, Slot Machines, Texas Hold ‘em tables. Have a taste of 3-D and experience virtual reality. Using virtual reality headsets, your guests will enter a 3-D virtual world to experience a roller coaster, flight simulator, hanglider, military air combat, or a futuristic world. Similar to the game Operation by Milton Bradley® . Players compete for prizes by removing various pieces from the oversized (8 foot long) patient without getting buzzed. Two players play prop guitars and match grooves against each other and the computerized guitar wiz. Many Styles of Music to choose from. Guests go home with their own recording of a song on CD. Jewel case provided with custom artwork to match any theme. Polaroid photo option available. Race up to 5 giant slotless Winston -Cup replicas around our huge 28 foot speedway. Spectacular crashes! High Speed Spinouts! Rugged crash-proof cars even have reverse in case you hit the wall. Three track configurations are available. Create your own colorful real wax candle. Also gel candles with many themes to choose from! Use our interactive machine to create your own Teddy Bear and dress it in an outfit that fits your personality and style. Custom silk-screened tee shirts are also available. Choose from dozens of authentic tattoo designs and crystal body art as seen in Seventeen Magazine. Tribal, Asian, Mendhi (henna designs) and much more. The latest fashion accessories from "The Hood"
Hot Dogs, Pretzels, popcorn, cotton candy, peanuts, Hot Chestnuts, Coffee and Tea, N.Y. Egg Cream, Italian Ices, Ice Cream. Just like at the movies. We supply the candy in our candy tube display rack. 10 bins of the candy of your choice (Kosher candy available). Includes attendant. 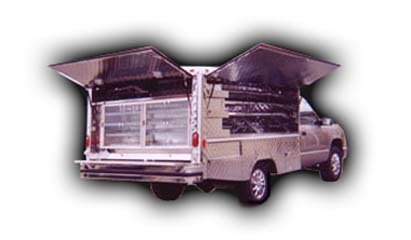 A real gleaming silver canteen truck greets your guests as they leave your party. Choose from a variety of coffee, juices, pastries and more. Flowing rivers of Belgian chocolate. Do-it-yourself chocolate covered fruit, cake, marshmallows and more. If your favorite arcade game or video classic game is not listed here just ask…We probably have it!